Spring has arrived here in Florida, and I am ready to share some fun Spring Décor ideas using my Silhouette CAMEO! 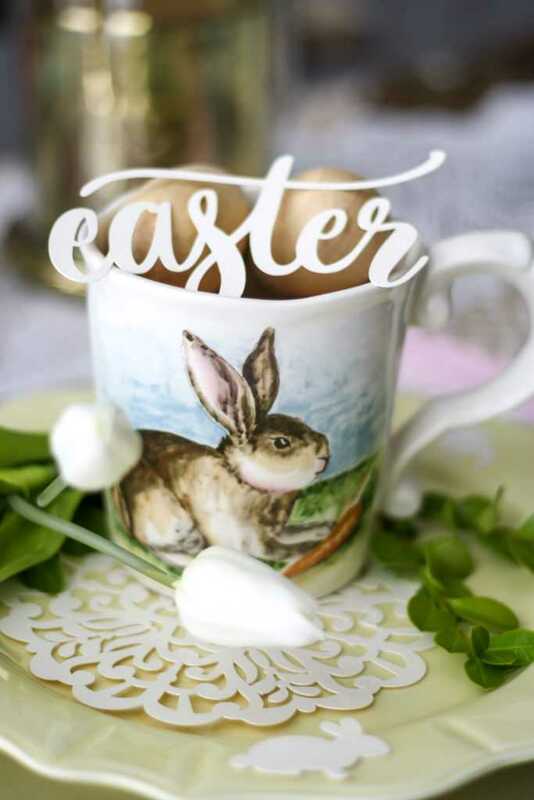 These ideas are perfect for everyday interior design inspiration or perfect for a tea party or an Easter brunch! 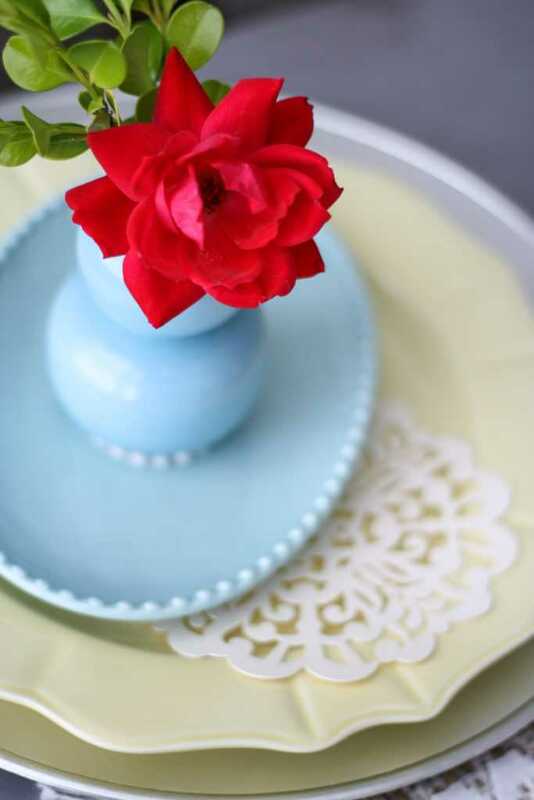 I am big on personalizing my guests’ place settings, and if you are a Silhouette lover like I am, you probably are too! I tried to use a few different Silhouette Store designs to make a beautiful array of design options. My favorite is probably the doily, and I was AMAZED at how beautiful it turned out. Since I printed it on coverstock, it will be super easy to reuse too! Locate all the designs (listed above) in your library and double-click to open the designs in Silhouette Studio®. Adjust the size of the design by selecting it entirely and dragging the outer corner to make it larger or smaller. I cut my doily at nearly 6 inches x 6 inches because it’s a good size for the center of a dinner plate. For the remaining cardstock pieces, I made those smaller and printed a few sets of them to use as confetti and little cutouts for the table decorations. Now that your design is ready to go, you are all set to cut your design. Note: I set up another file for my Matte Vinyl Pieces. Adjust your sizes according to your liking! 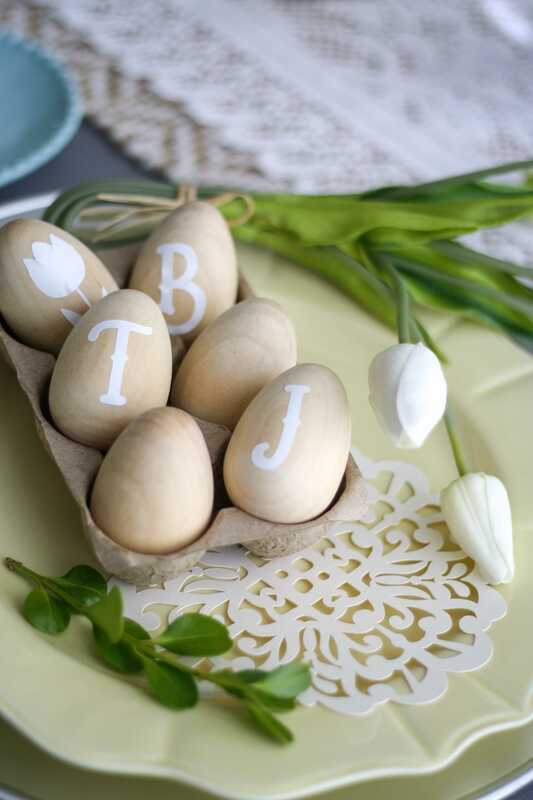 If printing on eggs, I found it was easier to have vinyl letters because they are easy to adhere to the roundness of the eggs. Load your cutting mat into your machine. Then in the Send window of Silhouette Studio®, make sure to select the correct material (cardstock, coverstock, or smooth vinyl in this case). It will then tell you what to adjust your blade to. If you’ve got an Autoblade, then you don’t need to adjust your blade. Once your design is loaded, send it to cut. After your design is cut, weed the excess material away to leave only the good stuff. 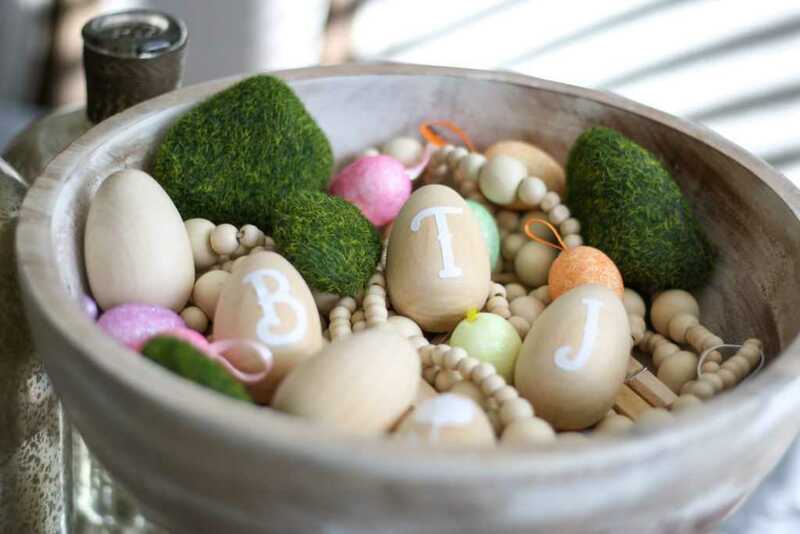 Spring has spring, and I hope you enjoy these party ideas and décor inspiration for your home! This blog post was contributed by Jessica of the blog Live Like A Mother. Follow her for more inspiring Silhouette projects. Most of the blog contributors are in the Northern Hemisphere and choose their own topics, so it’s bound to happen. We are not trying to exclude you. 🙂 Don’t forget you can always use the search bar at the top of the blog to search for ideas to suit any season you’re looking for!